After watching the some of the newer princess movies on Disney Channel as part of their Princess Weekend, Disney, in the 21st Century, has tried to change the image of the Disney Princess. They are no longer a girl who looks to find that one true love and think that true love is going to save them from all their problems. They are more progressive, active, and, most importantly, don’t a man to save them from their problems. They can save themselves. 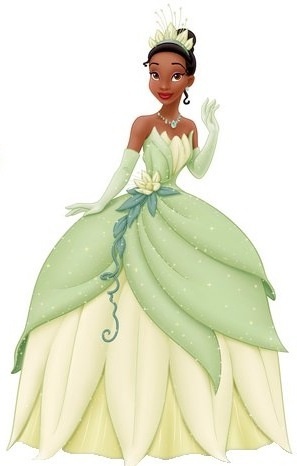 Princess Tiana was the first of the 21st Century princesses to be introduced. She grew up wanting to own a restaurant. She is seen working two jobs, in early parts of the movies, to reach this goal. It is, then, she is introduced to Prince Naveen and the two of them start their adventures in the bayou. Tiana is a worker, first, then becomes a princess. But John Lassiter believed that Tiana, “as someone who would never have been a big fan of Disney fairy tales.” Tiana is her own woman and willing to push her self to reach her goal of owning her own restaurant which she finally achieves at the end of the movie. 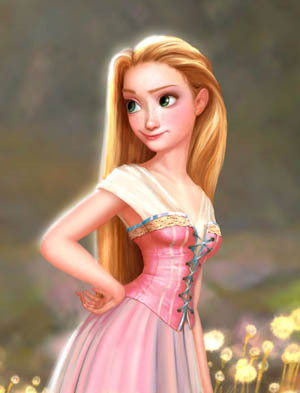 Princess Rapunzel is, perhaps, my favorite of all the 21st Century Disney Princesses. She is fun and outgoing yet willing to fight for what she believes in at the same time. She has a sense of wonder about the world after spending years trapped in tower. She loves the outside world and what it can bring. But also, she knows when she’s in trouble and has to battle her way out of it. Rapunzel is a go-getter. She knows what she wants from the world but needs to figure out how to get it. Rapunzel is an accomplished artist, singer, and can wield a mean frying pan. 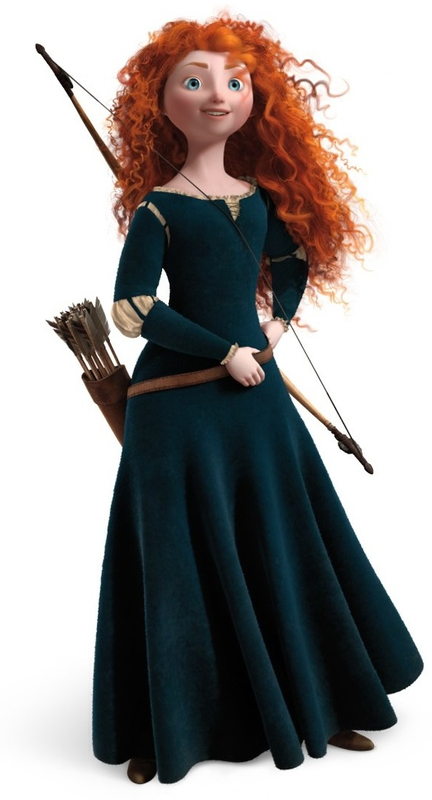 Princess Merida – the rebellious one, the “tom-boy” Merida is a woman who is willing and able to fight her own battles. She doesn’t want to be married and be tied down. She wants to make her decisions about her life even if this constantly puts her at odds with her mother. It’s a battle that lots of mothers and daughters fight on a daily basis in real life. Now, they get to see that battle take place in a Disney movie. On the flip side, Merida is also a caring individual who truly loves her family, even though, they constantly get on her nerves. She is unique from most Disney Princesses in the fact that she is very “outdoors-y” princess. She can ride a horse and shoot an arrow with the best of them including the men. 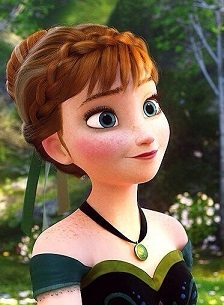 Princess Anna is the most innocent of all the 21st century princesses, in my opinion. Like Rapunzel, she spent most of her childhood locked inside the castle. She is trusting and loving. Anna also undergoes the biggest transformation during her time on-screen. She believes that Hans does love her and does not expect Hans to be using her to gain control of Arrendale. This makes her more like a traditional Disney princess. Anna, though, attempts to go out and solve her own problems with her sister Queen Elsa. She doesn’t expect Hans to solve because he didn’t create the problems. She did. She needed to go out and solve them. It is during this time that she learns about the world and true love. Love isn’t about finishing each other’s sandwiches but about who you want to spend your days with and that in the end family is the most important to love and hold on to. That’s true love. These four women are independent and strong each in their own way. They are in stark contrast to the princesses of the 20th century who pushed more traditional “housewife” roles for women. The 21st century princesses push girls and women to make their own mark in life. They can solve their own problems, fight their own battles, find out about the world in their own way, and become the owner of a restaurant. They show that it’s okay to go and follow your dreams. Do it your way. Don’t expect someone to save you from your problems. Go out and solve them yourself. The Dad For Disney Facebook Group will be posting what’s in the first Dad For Disney giveaway later today. Check back for more details. I can also be followed on twitter: @DadForDisney. Thanks for your rebuttal. 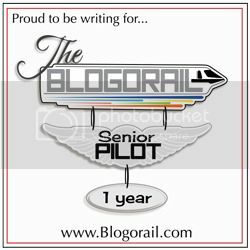 This was my first attempt at a social commentary type of article.